The flagship product in our catalogue is gaining adepts everyday thanks to its efficiency. 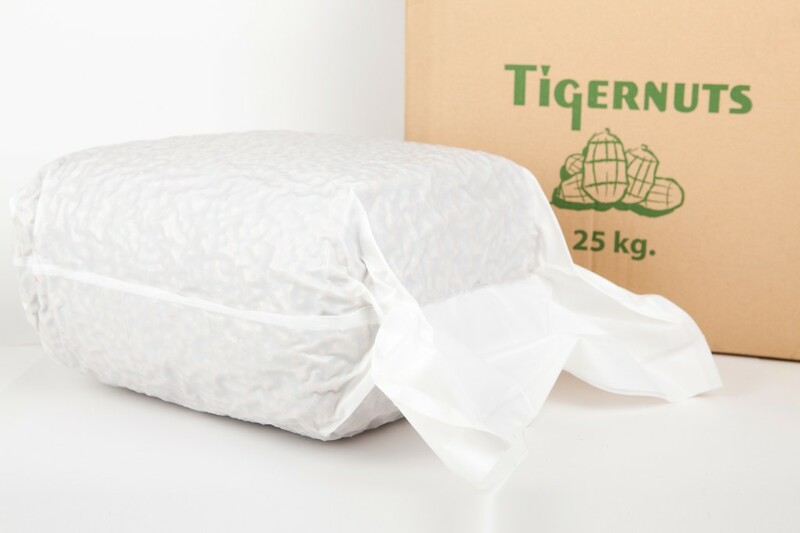 Tigernut is a suitable grain to use it during the whole year, although its efficiency improves in warm weather. Its high level of natural glucose makes it to be “naturally irresistible” for carps. It is considered a very selective bait in lakes and marshes with a high concentration of crayfishes. The baiting of fishing zones with tigernuts should not be too aggressive, mainly due to, when tigernuts pass through carps’ pharynx teeth they are chopped, and this added to the fact of being a slow digestion grain, ends up with the carps spreading small scraps of tigernut in they stools, which are swallowed by other fishes repeating this action again and again. 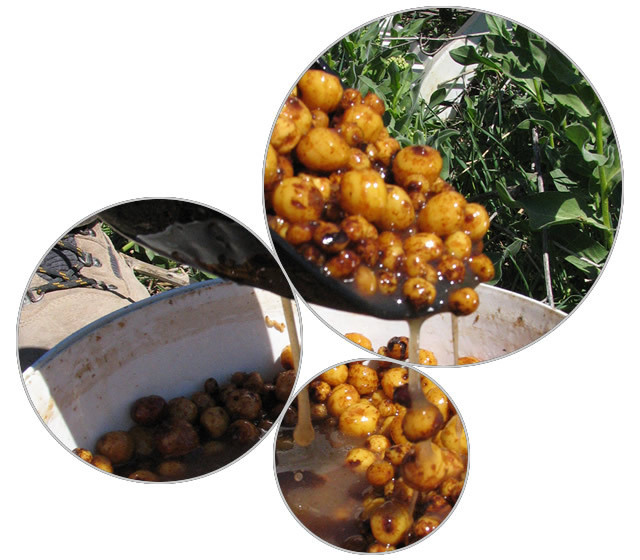 The most recommended tigernut for baiting the fishing zones is micro, because, in spite of its size, it contains a bigger amount of glucose and fats. 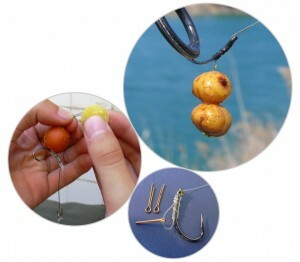 There is a rule which is not a deciding fact but it is applicable to the tigernuts baiting, and it is to use every tigernut just as if it was a boilie; if after a chopping we like to throw to the water 20 or 30 boilies, we will do the same when we fish with tigernuts. Just like most of the grains and seeds used as fishing baits, tigernuts require a preparation to get the optimum point for its use. Put the tigernuts on soaking to make them to get back to their usual level of humidity, softening a little their hard peel. We have to cover the tigernuts with water enough because they absorb a quite big amount of water and there should be enough. Next, we add some more water into the one left in the receptacle and then we pour it all into a pot to start the boiling process, which depends of the sort of receptacle. It is usual to add some sugar during the cooking process to boost the tigernut flavour and to get a quicker fermentation. Once boiled, let the tigernuts cool down in the water where they have been cooked, because it contains a high level of glucose come off from the tigernuts during the cooking and this is the best stock to help the fermentation process. When the tigernuts reach the room temperature, we introduce them in a hermetic receptacle where we will leave them to settle between 3 and 5 days. During these days, the liquid will convert into a viscous gel which is delicious to the carps.